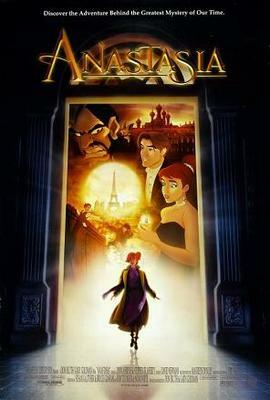 Actually I don't know much about Russia, but I have watched a Disney animated movie about the Russian lost princess, Anastasia. I like the movie so much because of the amazing (but really sad) story plot, beautiful animations, and great soundtracks. The movie tells about a Russian little princess that survived the execution of her family in the chaos of the Russian revolution, but lost her memory because she fell hard to the ground when she was trying to escape. Not knowing her identity, she then continued to live in an orphanage. The story is mainly about her journey to find out her real identity as a princess of Russia. At first I thought Anastasia was a whole-fiction movie, but it turns out that the story comes from real Russian history. 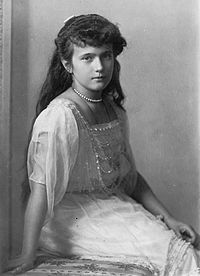 Anastasia Nikolaevna is a Grand Duchess of Russia, the youngest daughter of Czar Nicholas II, the last Emperor of Russia. 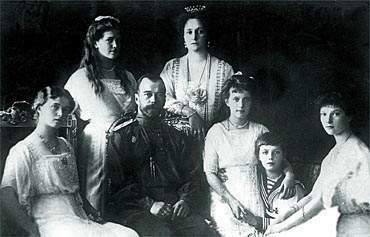 The Russian royal family were executed in the chaos that led to the overthrow of the Czar in 1916, which condemned Russia to more than 70 years of Communist rule. The fact is that the mass grave of the royal family was discovered in Yekaterinberg in the Ural mountains in 1991, after the collapse of the Soviet Union. The bodies of five females and four males were recovered, along with the bones of a small dog. The males were positively identified to include Czar Nicholas II. The dog was Anastasia's dog, whom she is said to have been holding in her arms when they were shot by the firing squad. However, supposedly six females were executed at Yekaterinberg in 1918. These were: Queen Czarina Alexandra; her four daughters Olga, Titiana, Marie, and Anastasia; and the family cook. This means that the body of one female is unaccounted for. Could Anastasia have possibly really escaped? That’s the mystery.